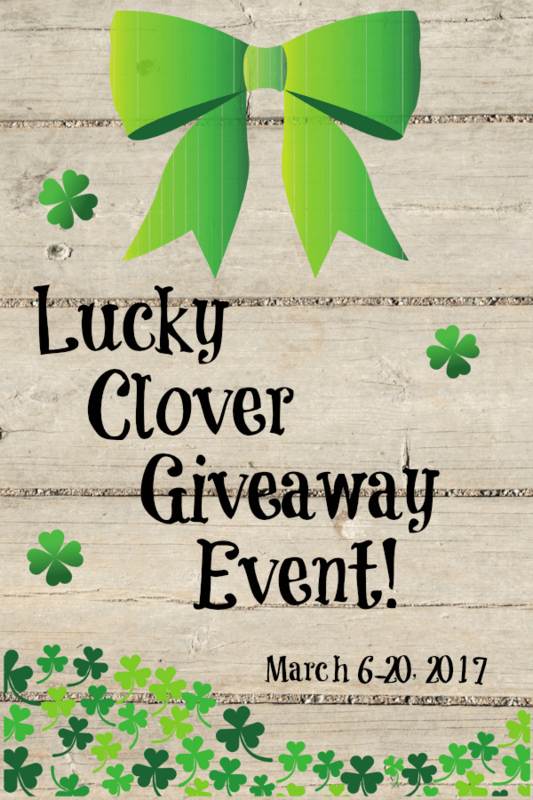 Enter the Lucky Clover Giveaway Event and It May Truly Be Your Lucky Day! Genuine four-leaf clovers come from the white clover plant. Legend states that Eve carried a four leaf clover when she left the Garden of Eden. The early Celts of Wales considered it a charm against evil spirits. Children in the middle ages believed if they carried a four-leaf clover they would be able to see fairies. For every four-leaf clover, there are approximately 10,000 three-leaf clovers. In a true four-leaf clover from the white clover plant, the fourth clover is smaller than the other three. And now, this special “Lucky Clover Giveaway Event” could bring luck your way! Can you believe that it’s March and Spring is right around the corner, bringing with it green grass, leaves and clover! I know that we’re all getting excited for the weather to start warming up! 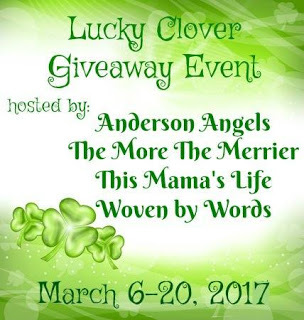 And now Anderson’s Angels, This Mamas Life, The More The Merrier and Woven by Words, are very excited to bring you the Lucky Clover Giveaway Event! They’ve teamed up with over 20 other wonderful bloggers, to bring you another great giveaway event! Each blog has gathered a prize package worth $25 or more. My prize in this very special giveaway event is a $25.00 visa gift card! So be sure and enter here and then visit each blog listed below and enter their special giveaway too. 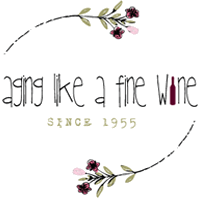 Hosts & participating hop bloggers of the Lucky Clover Event are not responsible for sponsors or self-sponsoring bloggers that do not fulfill prize obligations. My prize is self-sponsored and will be mailed by me! I do!! I like to believe there’s a little magic in anything we put a hope and dream behind! Yes, I believe that 4 Leaf Clovers are lucky! I did want to believe when I was younger,but it’s one of those old wives tales!! No,I told believe so!! Yes, I think they are lucky. I do believe 4 leaf clovers are lucky. I did when I was a kid but not anymore. Nope, I don’t think 4 leaf clovers are lucky. I like to think that four leaf clovers are lucky! I would like to believe that four leaf clovers are lucky, so sure! I need all the luck that I can get! No, I don’t believe 4 leaf clovers are lucky but I spent a good amount of time when I was a kid trying to find one. I do believe the four leaf clovers are lucky! I hope to find one soon! I’m not superstitious, but I would feel lucky if I found a four-leaf clover, I sure have tried! I’m not superstitious, but if I found a four-leaf clover, I’d feel very lucky, and I sure have tried to find one!!! Yes! I do believe in four leaf clovers, I found one once when I was a little girl and my wish came true, so yes! I do believe. I don’t believe that 4 leaf clovers are lucky. I do believe four leaf clovers are lucky…because they are so hard to find. I don’t think I’ve ever found a four leaf clover, so I’m not sure. I’ve had bad luck for years, so maybe I should spend a few hours outside looking for one. Lol. Yes, I know first hand that four leaf clovers are lucky!! I use to love finding them when I was growing up. Always a believer! I really don’t know, but at my grandmother’s house we use to dig and dig for them. She had clover all over and we would find alot of them!!! I always enjoyed looking for them!! I don’t believe they are lucky lol. I never found one!!! I Absolutely believe 4 leaf clovers are lucky! 🙂 I’m always looking! No I don’t think 4 leaf clovers are lucky. No, I do not believe 4 leaf clovers are lucky. I was lucky to find some in our yard but that was it. No I dont believe 4 leaf clovers are lucky. I used to try to find them as a kid though. I haven’t found one or looked for one in decades but I remember searching and searching for them as a kid. I believe in lucky charms! No, I don’t believe in lucky talismans at all. I guess they’re lucky, I’d like to find one. Sure, why not! I’ll take all the luck I can get. lol No, I don’t believe they’re lucky. I found lots of them when we lived in Washington. Yes, I believe that four leaf clovers are lucky. No, I don’t believe four leaf clovers are lucky. I don’t believe in 4 leaf clovers.. but I do believe I am a very lucky woman. If you believe they are. I do not know because I have never been lucky enough to find one! I’ll say yes…but that’s only because I’ve never found one! Any day could be3 lucky, but I don’t think they are any more lucky. I haven’t every seen one though.